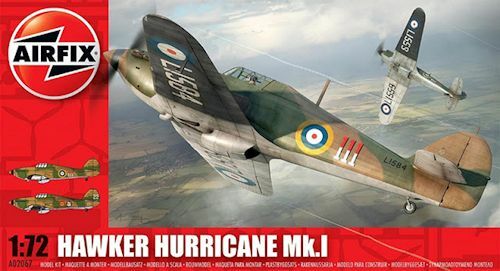 The Hurricane was ordered into production in June 1936, mainly due to its relatively simple construction and ease of manufacture. As war was looking increasingly likely, and time was of the essence in providing the RAF with an effective fighter aircraft, it was unclear if the more advanced Spitfire would enter production smoothly, while the Hurricane used well-understood manufacturing techniques. This was true for service squadrons as well, who were experienced in working on and repairing aircraft whose construction employed the same principles as the Hurricane, and the simplicity of its design enabled the improvisation of some remarkable repairs in squadron workshops. The Hurricane was also significantly cheaper than the Spitfire, requiring 10,300 man hours to produce rather than 15,200 for the Spitfire. The first 50 Hurricanes had reached squadrons by the middle of 1938. At that time, production was slightly greater than the RAF's capacity to introduce the new aircraft and the government gave Hawkers the clearance to sell the excess to nations likely to oppose German expansion. As a result, there were some modest sales to other countries. Production was then increased with a plan to create a reserve of aircraft as well as re-equip existing squadrons and newly formed ones such as those of the Auxiliary Air Force. Expansion scheme E included a target of 500 fighters of all types by the start of 1938. By the time of the Munich Crisis there were only two fully operational squadrons of the planned 12 with Hurricanes. By the time of the German invasion of Poland there were 18 operational Hurricane squadrons and three more converting. It was a nice surprise to visit the LHS yesterday and find the recent Hurricane I on the shelves. This continues Hornby's revitalization of Airfix and it is working as far as I'm concerned. This kit is an early 'ragwing' version, something that has only been tooled in this scale before by Sword in their short run catalogue. Molding is typical of Airfix so if the somewhat larger engraved panel lines are an issue, you'll just have to live with it. Personally, I see little wrong with it as it does nothing to detract from any similar model I have built. As with most of their kits, this one is produced in India and features the usual semi-soft, light grey plastic. 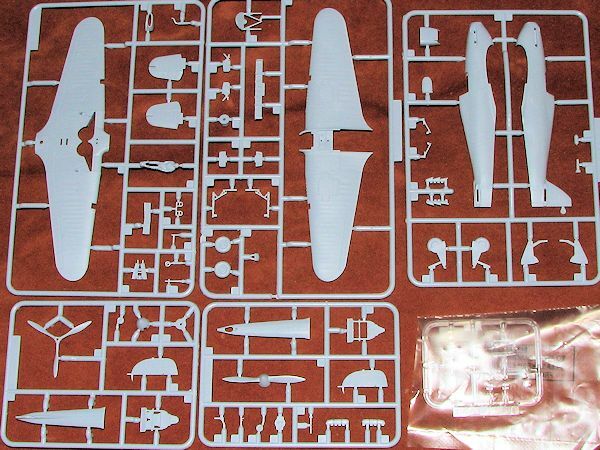 Humbrol has done its homework on this one and just from the feel of the instructions, I'd say that if you've built the 1/48 Classic Airframes kit, you'll see a lot of similarities. As a start, The upper and lower wing halves are a single piece, so no worries on wing root issues. The wheel wells are several sections that fit into the lower wing. Atop the upper wing, the interior is fit. There are two sprues in the kit that include both early and late bits. For both of the markings options, one uses the early piece that fits behind the seat. This is without the extensive armor plating. The interior floor includes a control column and rudder pedals. This then fits into the fuselage halves and in turn, this fits atop the wings. There is a rear fuselage insert as the very early planes had no ventral fillet. To go along with this are a shorter and a 'standard' rudder. The ventral radiator is nicely done and typical of Airfix kits, one can build this wheels up if one has purchased the display stand. The kit also comes with two props, one a DeHavilland three blade unit, but it is not for either of these options. For this kit, the wooden Watts two blade prop is to be used. Also included are standard 'fishtail' exhaust and the 'kidney' versions with the latter being appropriate for this kit. A two piece windscreen/canopy combo is also provided, but the canopy looks to be too thick to properly pose open. A pilot figure is included to cover up the lack of a seat harness. I know it is a minor thing, but I do wish that kit makers would at least provide a decal for this feature. Tamiya does and I appreciate it as often one does not wish to fuss with a photo etch replacement. Instructions are typical Hornby with only Humbrol paint numbers provided until one gets to the exterior scheme. The two markings options are ones done by both Sword and Classic Airframes with one being the box art plane from 111 Squadron and the other a Belgian version with 2 Squadron. Both are dark green and dark earth uppers with aluminum paint undersides. The RAF version has one lower outer wing panel in white and the other in black. 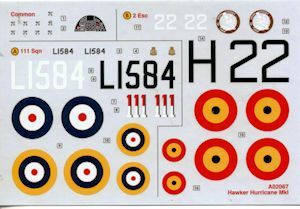 Decals are nicely painted and include an instrument panel, something that is pretty standard in this scale. I am quite pleased to see this kit being done. I believe the metal wing version is either already released or will be soon. However, we have not had a readily available and inexpensive 'ragwing' version available to us in any scale. This one will be a very nice addition to any pre-war RAF collection.